Julena M. Bonner is an Assistant Professor in the Management Department of the Jon M. Huntsman School of Business at Utah State University. She received her PhD from Oklahoma State University. Her research interests include behavioral ethics, ethical leadership, emotions, and workplace deviance. 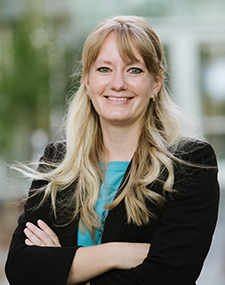 Her research appears in the Journal of Applied Psychology, Journal of Organizational Behavior, Journal of Business Ethics, and Organizational Psychology Review. Greenbaum, R. L., Mawritz, M. B., Bonner, J. M., Webster, B. D., & Kim, J. (in press). Supervisor expediency to employee expediency: The moderating role of leader-member exchange and the mediating role of employee unethical tolerance. Journal of Organizational Behavior. Bonner, J. M., Greenbaum, R. L., & Quade, M. J. (in press). Employee unethical behavior to shame as an indicator of self-image threat and exemplification as a form of self-image protection: The exacerbating role of supervisor bottom-line mentality. Journal of Applied Psychology. Bonner, J., Greenbaum, R.L, Mayer, D.M, (2016). My boss is (morally) disengaged: The role of ethical leadership in explaining the interactive effect of supervisor and employee moral disengagement on employee behaviors.. Journal of Business Ethics, 137:4, 731-742.